Spring/Summer 2010 runways were bursting with beautiful prints and textures. Animal prints dominated the summer runways with an updated take on classic leopards and snakeskins. Whether in the form of a beautiful summer dress or a gorgeous, eye-catching accessory, bright and powerful animal prints are a sure way to catch attention on a hot summer day. 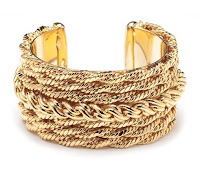 Rachel Leigh’s snakeskin bracelets are sure to make a similar statement. The classic snakeskin print comes updated in bright colours, and, combined with an adorable bow, are every trendsetters dream. 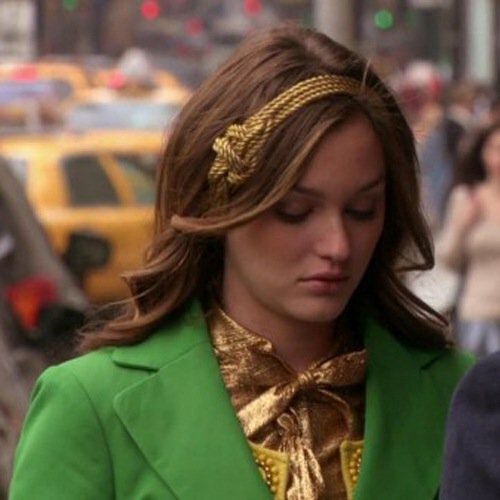 It’s no surprise TV’s leading fashionista Blair Waldorf is a huge fan. 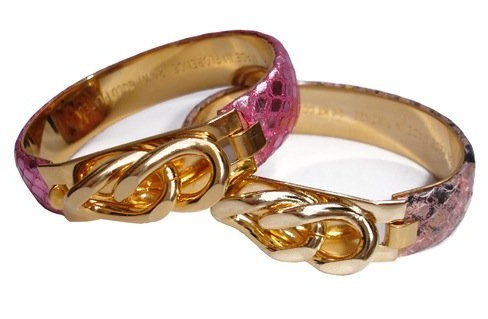 Vita Fede’s signature ‘Original Chain’ bracelets are also available now with snakeskin. The combination of animal print and luxurious 24 K plated gold handmade chain is downright irresistible. 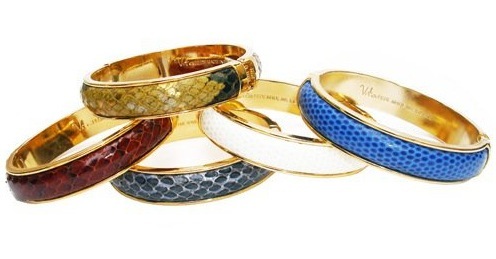 Just as covetable are Vita Fede’s snakeskin bangles. 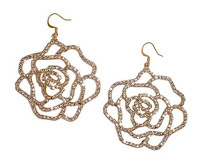 They can be worn alone but are even better when layered for that extra little bit of glamour. 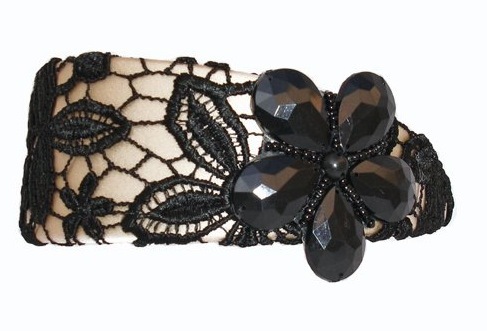 Nothing says romance like a little bit of lace. Once again, lace was prominent all over spring runways with John Galliano almost dedicating his entire Christian Dior collection to it. In his debut collection for Nina Ricci, Peter Copping created jaw-droppingly beautiful lace shoes. And Karl Lagerfeld offered up lace in combination with country romance. Although a head-to-toe lace ensemble can be a little daunting, accessories area perfect way to introduce a trend into one’s wardrobe. 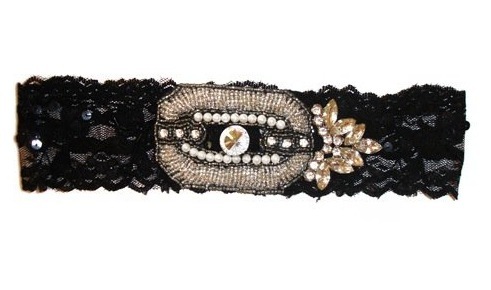 Lace headbands by TB and Susan Daniels would look as great with a little black as they would with a causal day ensemble of blouse and jeans. 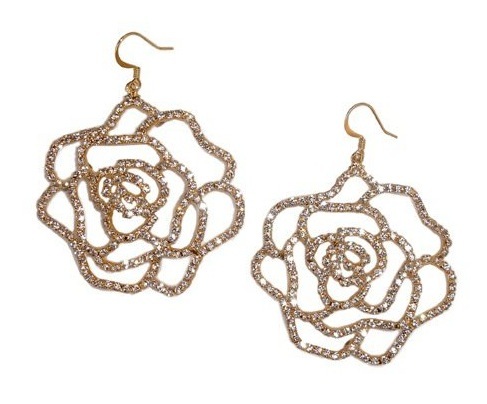 Translating the intricacy of lace into gold, rose earrings by Joomi Lim are a great option to add a little lace-like texture through jewelry. Adding a three-dimensional texture to fabric, knotting and braiding appeared most prominently in Burberry’s Spring/Summer collection. Coats, dresses, bags and even shoes were all treated to a little bit of a twist. 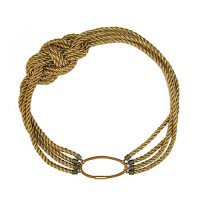 Knotting and braiding are classic techniques when it comes to jewelry. 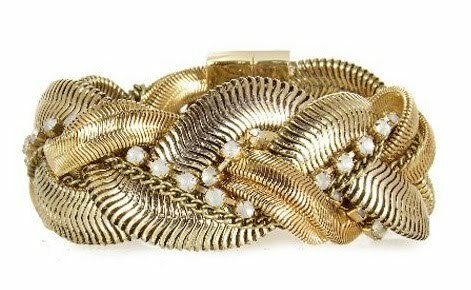 Rachel Leigh’s crystal braided bracelet combines a braided snake chain, fine chain, and crystal strands, and makes a true statement piece. 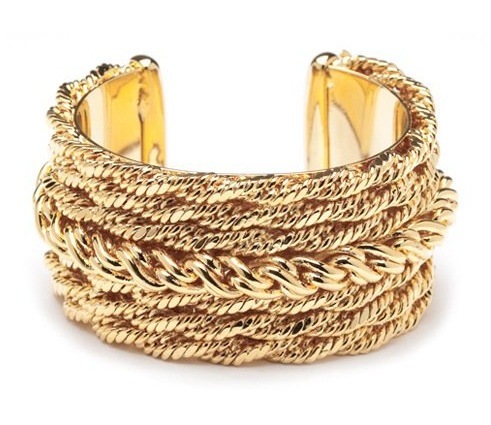 Another stand-out is CC Skye’s multi chain cuff with a combination of slim and thick 24k gold-plated rope chain. A sure way to be noticed is with Jennifer Behr’s gold knot headband, worn by Blair Waldorf on Gossip Girl. A classic sailor’s knot, this hair accessory is a must whether relaxing seaside or strolling around town.